Create your own personal weather station using a Raspberry Pi as the base station and XBee wireless modules to communicate with the outdoor sensors. Learn about sensors, weather and wireless transmissions! 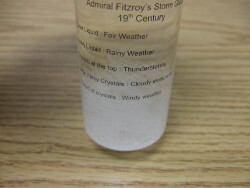 The formation of crystals in the liquid are supposed to predict the weather. Do I have a scientific instrument to predict the weather, or do I have a tube full of useless crystals? ... At least it looks cool. 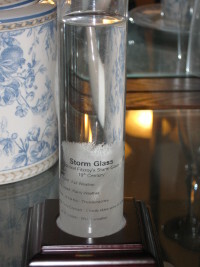 If your Admiral Fitzroy Storm Glass appears to be stuck with the same crystal formation for weeks upon end, it is time to reset it. Nothing is more frustrating than realizing that your circuit works fine and it is just the LED that is inserted backwards! 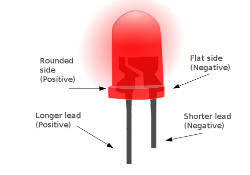 Here are some methods for determining LED polarity, especially for unknown LEDs. This was based on a project I did a while ago to simulate the look of fireflies in my garden. This circuit drives 8 yellow-green colored LEDS to simulate the look of fireflies. Each LED randomly blinks on quickly then slowly dims out to simulate a firefly in the evening. This is a very slow effect as only 1 or 2 LEDS blink at a time. The time between blinks can be greater than 30 seconds. Recommended to use small 3mm LEDS. This circuit is perfect for a forest scene near the campfires on a model railroad layout. 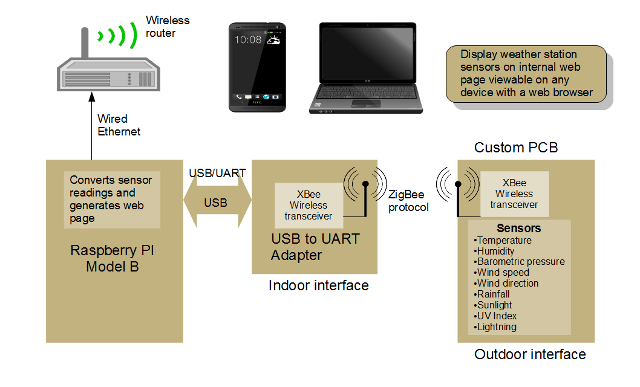 The circuit can also be used outdoors in a garden when weather protected properly. Page last updated: March 1, 2018.